I am excited to share with you the news that my book on Margaret Lockwood, the British film star, will be published by Fantom Films in July. The book has been a labour of love and several years in the making, and it will be released ahead of Margaret’s centenary in September 2016. Although this is a new genre for me, it still fits on the spectrum of British heritage and is very much keeping within the era that I write about. My other forthcoming book, The Mistress of Mayfair: Men, Money and the Marriage of Doris Delevingne, is still on track for a November release. Margaret Lockwood: Queen of the Silver Screen is available for pre-order. 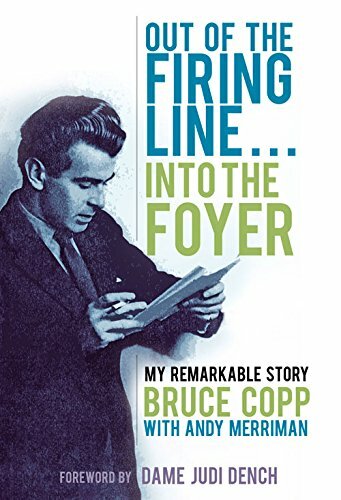 War hero and ’60s Soho doyen Bruce Copp has lived a unique life. With an address book brimming with celebrity names and numbers, he swam regularly with a James Bond, dined with Charlie Chaplin, hung out with Lenny Bruce and spent an unforgettable night with Marlene Dietrich. A reluctant hero, he served in the army throughout the Second World War where he dealt with prejudices towards homosexuality, witnessed the deaths of his comrades and tried to commit suicide by walking into enemy fire. He miraculously survived and was mentioned twice in dispatches for bravery before being transferred to British Counter Intelligence where his duties included tracking down high-ranking Nazis. After the war, Bruce went on to become an important figure in London’s ‘swinging sixties’, running a series of successful theatrical restaurants including Peter Cook’s legendary The Establishment club, which attracted such icons of the era as Michael Caine, Jean Shrimpton and the Kray twins. Out of the Firing Line … Into the Foyer is a fascinating memoir covering nearly 100 years of social history and personal experiences. Bruce Copp is a man who has known everybody, and if he didn’t know them personally, he has crossed paths with them. In his biography filled with witty nuances, he details his personal life often breaking away from the narrative to relate an amusing anecdote, regardless if they fit into the chronology of the story or not. As the synopsis suggests, there are heavier themes throughout the book, but Copp does not dwell on them too long. He zips along with pleasantries and funny stories, which, I imagine, is his signature style. A lively book and highly readable, you will probably finish this book in one sitting. 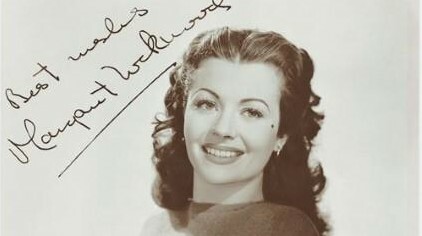 Researching my latest book, ‘Wealth and Notability: the Lockwood, Day and Metcalfe Families of Yorkshire and London’, unearthed some surprising new findings about Margaret Lockwood’s family background. She clearly knew much more than she was prepared to reveal in her autobiographies, or to her 1989 biographer, Hilton Tims. My own book tells the story of an extraordinary group of families, and their contingent of successful and notable people. It is one of two books that has emerged from many years of painstaking research into my wife’s family history. We have long known she has a large number of both notable and notorious ancestral connections, far more fascinating than my own, and a frequent jest is that she could have a whole series of ‘Who Do You Think You Are?’ just to herself. One of her ancestral lines is the talented and influential Lockwood family of Doncaster, from which Margaret Lockwood was also descended. The earliest Lockwood we can identify with certainty is Margaret Lockwood’s great-great-great-grandfather, Joseph Lockwood (c1758-1837), a self-made man, twice Mayor of Doncaster, builder, sculptor, monumental mason and part owner of the Levitt Hagg limestone quarries near to the town. Some of the neo-Hellenic memorials designed by him and his son, also Joseph (1785-1842), are still around, one being inside the Parish Church at Blyth in Nottinghamshire. 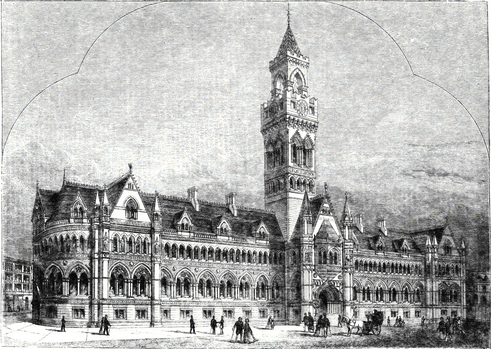 They suggest an artistic talent that was passed widely on to their descendants, notably Margaret Lockwood’s great-grandfather, Henry Francis Lockwood (1811-1878), the architect responsible for the Gothic design of Bradford Town Hall, the Corinthian Bradford St. George’s Hall, the philanthropic company town of Saltaire, and around a hundred other public and private buildings in Yorkshire, London and elsewhere. Sir Frank Lockwood Q.C. (1846-1897) who served as Liberal M.P. for York, and as Her Majesty’s Solicitor General. He led the prosecution of Oscar Wilde’s retrial in 1895. He was also well-liked for his humorous cartoons of courtroom and Parliamentary scenes, a further instance of the Lockwood artistic gene. Louis Lockwood (1864-1907), another architect, who made a name for himself in St. Paul, Missouri. His houses, such as Jared Howe’s house in West Grand Avenue, are admired to the present day. Sir Joseph Flawith Lockwood (1904-1991) who became head of the EMI corporation and was responsible, among other things, for the Abbey Road studios and dealings with The Beatles. He also served for a decade as chair of the Royal Ballet. One of his brothers, a businessman, was twice kidnapped by guerrillas in Argentina. Another brother founded the Lockwood Donkey Sanctuary in Surrey, and once threatened to sue the Queen and Captain Mark Phillips for cruelty when Phillips was riding the Queen’s horse in the Badminton Horse Trials. The actor Timothy West. His father was also a successful actor, Harry Lockwood West (1905-1989), and earlier members of their family owned and edited the Doncaster Chronicle newspaper. We should also mention Charles Day (c1783-1836), brother of the younger Joseph Lockwood’s wife, Susannah Day (1785-1857), who made a colossal fortune from ‘Day and Martin’ blacking. His wealth passed widely around the family, providing all kinds of social and educational privileges. 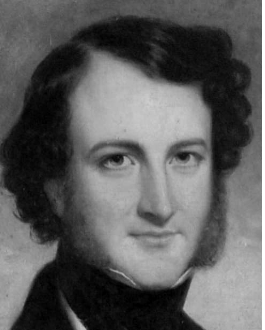 Joseph and Susannah’s son, Henry Francis Lockwood the architect (Margaret Lockwood’s great-grandfather) married a first cousin who was also a member of the Day family, thus receiving a double share of Charles Day’s fortune. It seems likely that it was Charles Day who helped him train under one of the leading architects of the time, and Charles Day’s money that enabled him to set up his own architectural practice. As well as artistic talent, another trait that seems to run through the family is what I refer to as the ‘Lockwood jaw’. Many of them have a long lower jaw tending towards what dentists refer to as an underbite, which is often visible in family photographs. It is apparent in Henry Francis Lockwood on the back cover of my book, and especially in Henry’s granddaughter Constance Metcalfe Lockwood whose portrait appears on the front. Sir Frank Lockwood’s sister, Lucy Ellen and her son Frank Lockwood Atkinson had it, and the portrait of the elder Joseph Lockwood on the BBC Your Paintings website also shows indications. It still appears in some present-day descendants. I can probably get away with pointing to Timothy West as an example, but I won’t embarrass anyone else by naming names. Margaret Lockwood’s own grandfather and father did not, however, have such successful lives. When Hilton Tims wrote his biography of Margaret Lockwood in 1989, there was no way he could have efficiently searched through overseas newspapers and other sources as the technology was not yet sufficiently developed, and so the life story of her grandfather, Francis Day Lockwood (1851-1907), was entirely hidden from him. He says simply that he “retreated into obscurity” and assumes he was earning a good living somewhere abroad as an architect. In fact, although he did start out as an architect with his father, there is no evidence he actually qualified, and after his father’s death in 1878 he gave up the profession, and went off gold prospecting in New Zealand with two of his brothers. It seems possible that his wife, Sarah Maria Elizabeth Miller (1859-1893), went with him, but they returned around 1891. Francis then sailed off on his own to Perth, Western Australia, in 1892, leaving Sarah to die of chronic alcoholism in a London boarding house in 1893, and their son (Margaret Lockwood’s father) to be brought up by a relative, ‘technically orphaned’. If Sarah had indeed been to New Zealand with Henry, it seems likely it would have at least exacerbated her problems with alcohol, and could well have been the direct cause, because they suffered terrible privations there. One of Francis’s brothers was driven to suicide in 1886 in a near-inaccessible hut in the reefs at the end of the Wilberforce River, a remote area of the Southern Alps, and the other brother who went to New Zealand, died there in 1891, aged only 51, in the Christchurch hotel he ran. On arriving in Australia, Francis first took a job as a hospital orderly, working ninety-hour weeks in terrible conditions. He then became a health inspector, and after marrying again in 1896, was appointed Chief Inspector to the Central Board of Health in Perth. Sadly, however, he appears to have driven himself obsessively into overwork, perhaps a trait we see later in his granddaughter, but in Francis’s case it brought mental breakdown, and he died by self-poisoning in Perth in 1907. It is not clear whether Margaret Lockwood herself knew any of this, but had she done so, it is easy to see how it could have damaged the gloss of her film-star glamour. It would have been very much in her interests to keep it to herself. What is undeniable though, is that she knew a lot more about her father than she revealed. Hilton Tims outlined the basic story, that Henry Francis Lockwood (1879-c1956, presumably named after his architect grandfather) had three wives, that he was a railway administrator in India, and that he had two other children, Margaret Lockwood’s brother ‘Lyn’ (1912-1987), and her half-brother Frank (1908-1979). But Tims’s account contains a number of errors and omissions. Firstly, he tells us that soon after Henry Francis Lockwood’s first marriage in 1900, his wife, Jessie Ramsay, then “simply disappeared from the records.” Both Margaret Lockwood and her mother Margaret Evelyn, clearly knew that this was not the case. Jessie had at first travelled to India with Henry, but then returned because she could not bear the conditions and the heat, and lived out most of her life in London. Not only that, Henry and Jessie had a son, John Alexander Lockwood, born in London in 1898, before the marriage, registered with the surname Ramsay. Had Tims been able to search the 1901 census electronically, he would have found the three of them living at Kingston upon Thames, before Henry and Jessie left for India, leaving John with his Ramsay grandparents. Jessie later moved to York where she died aged 80, in 1957. Various circumstances strongly suggest that John was indeed Henry’s biological son, which means that Margaret Lockwood had another half-brother not mentioned in any of her (auto)biographies and obituaries. According to his son, John actually met Margaret twice, once to sort out loose ends relating to their father’s estate, and again after Jessie’s death in 1957. John found these meetings disappointing, Margaret being neither as friendly, nor as glamorous as he had anticipated. John also very much doubted that his parents’ marriage had ever been legally annulled, which would have given Margaret Lockwood very good reasons for wanting to conceal his and Jessie’s existence. Tims is also sketchy about Henry’s second wife, Marie Ann, who, he tells us, died shortly after Frank’s birth in 1908. This is not the case. Tims seems to have based his assertion on a Roman Catholic burial record he found for a Mary Lockwood of Gorakhpur, wife of Mr. Lockwood of the Bengal and North West Railway Printing Press, who he assumes was Henry’s wife. It is the wrong record. In fact, Henry and Marie Anne, whose maiden name was Whitmarsh, appear never to have uprooted themselves to Gorakhpur. They remained in Saidpur where they had a second child, Anne Felicity Whitmarsh Lockwood, in 1910. So here is another half-sibling, a half-sister, also absent from biographies and obituaries. If Henry’s second wife died shortly after giving birth, it was after Anne Felicity’s birth rather than Frank’s. It makes much more sense that Henry’s third marriage in 1911 took place within six months of Anne Felicity’s birth and Marie Anne’s death, as he desperately needed someone to care for his two children. His third wife, Margaret Evelyn Waugh, mother of Margaret Lockwood, has been described unflattering as a plain old maid, but a trained nurse and perfect homemaker. It seems possible she had previously been the family governess. Anne Felicity, known as Fay, was then brought up by her step-mother, and lived with her and Margaret at 18a Highland Road after they moved back to England. She married from that address in 1930, when Margaret’s mother and brother ‘Lyn’ signed the marriage certificate as witnesses; one could even imagine Margaret as a bridesmaid. Why Margaret failed to mention Anne Felicity to Tims and others seems a mystery, but it could have had something to do with the well-known rift that developed between Margaret and her mother, or perhaps Anne Felicity simply did not want the attention that would have arisen from being Margaret Lockwood’s sister. 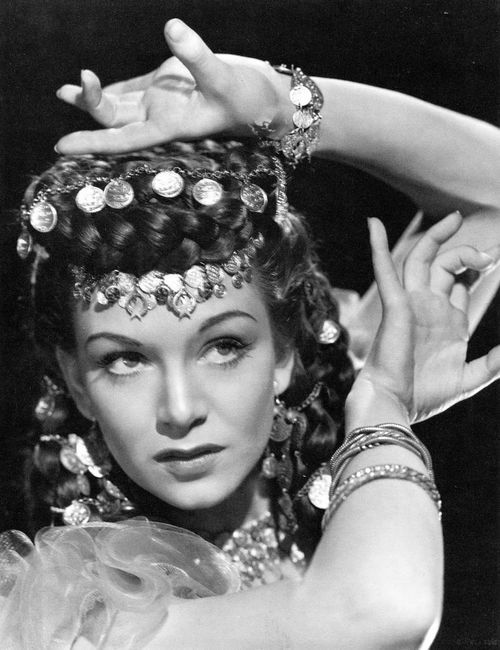 She died in Blackpool in 1988, aged 77. There are many other other tales of success and tragedy, fulfilment and infidelity, within the Lockwood, Day and Metcalfe families. 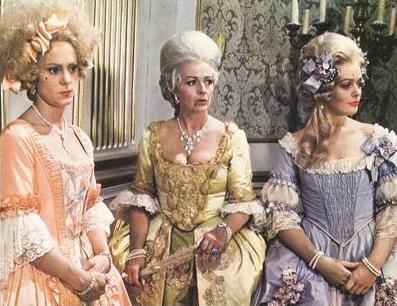 Many of them may not be so famous as Margaret and other Lockwoods, although among the Metcalfes we find Priscilla Countess of Annesley, the Australian artist Rosalie Gascoigne, and the brother and sister musician and actress Nick and Gabrielle Drake. But famous or not, their stories are every bit as fascinating. In 1976 it had been 21 years since Margaret Lockwood had made her last film (Cast a Dark Shadow in 1955). She had kept busy in the intervening years. She appeared regularly on stage, in productions of Peter Pan, Signpost to Murder, An Ideal Husband, and other plays. She had guest starred on such television programmes as The Royalty, Saturday Playhouse, and The Human Jungle. In 1965 she starred in the BBC television series The Flying Swan with her daughter Julia. In 1971 she began playing barrister Harriet Peterson on the ITV programme Justice. The programme proved to be a hit, running for three series. While Margaret Lockwood had never faded entirely from view in the United Kingdom (indeed, she is still quite popular), there can be little doubt that Justice gave her greater exposure than she had gotten in many years, and it introduced her to a whole new audience of younger fans. 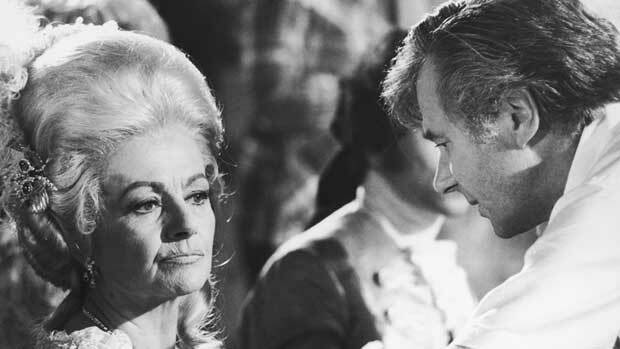 It should then be little surprise that Bryan Forbes, the director of such films as Whistle Down the Wind (1961), Séance on a Wet Afternoon (1964), and The Stepford Wives (1975), would persuade her to take the role of the Stepmother in his big budget musical adaptation of the fairy tale “Cinderella”, The Slipper and the Rose. It would be her final feature film. 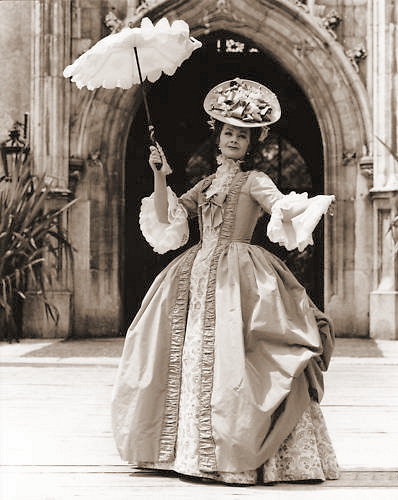 The Slipper and the Rose was filmed over 22 weeks, both at Pinewood Studios in London and on location in Austria and England. It was released in the United Kingdom on 11 April 1976. On the surface, a musical adaptation of “Cinderella” would not appear to be a particularly original idea. The 19th Century alone had seen several ballets and operas based on the fairy tale. The 20th Century would be no different with “Cinderella” adapted several times as a musical film well before The Slipper and the Rose. The most famous musical adaptation may well be Walt Disney’s 1950 animated film Cinderella. In 1955 MGM released The Glass Slipper, a musical version of the fairy tale starring Leslie Caron. In 1957 Richard Rodgers and Oscar Hammerstein II adapted “Cinderella” as a musical for television starring Julie Andrews. Rogers and Hammesteins’ Cinderella was revived for television in 1965, this time starring Lesley Ann Warren. The Deanna Durbin musical First Love (1939) was essentially a modernised version of the fairy tale. Despite the fact that several film musicals based on Cinderella predated The Slipper and the Rose, it still proved to be a very original film. Indeed, it must be noted that in most previous film versions of the fairy tale the Prince is little more than a cypher. More often than not he is a simple cardboard figure who rescues Cinderella from her wretched life with her stepmother and stepsisters. 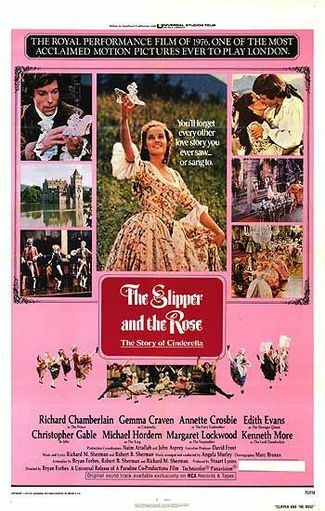 This is not the case with The Slipper and the Rose, which devotes as much time (if not more) to its prince (Prince Edward of Euphrania in the film, played by Richard Chamberlain) as it does Cinderella herself. Indeed, Prince Edward is the first character to appear in the film and also gets the honour of singing its first song, well before Cinderella (played by Gemma Craven) makes her first appearance on the screen. What is more, Prince Edward is a fully developed character with his own motivations well beyond finding the pretty girl who wore the glass slipper to the ball. The prince is not the only character from the fairy tale that is given an actual personality. In most versions of “Cinderella”, the Wicked Stepmother is little more than a stock villain. There is no explanation, explicit or otherwise, as to why she resents Cinderella or why she treats her so badly. The Stepmother in The Slipper and the Rose actually has reasons for treating Cinderella so badly, unjustifiable though they may be. What is more, as played by Margaret Lockwood, she is both beautiful and stylish. Even her daughters, Cinderella’s stepsisters, are given more personality than they are in most adaptations of the fairy tale. They are vain, selfish, and spoiled, a result apparently of their mother doting upon them. It is also notable that unlike most adaptions of the fairy tale they are not at all ugly, so that their resentment of Cinderella is rooted in matters beyond simple envy of Cinderella’s appearance. The emphasis that The Slipper and the Rose placed upon characters other than Cinderella is not the only way in which it differs from previous musical adaptations of “Cinderella”. The magic in The Slipper and the Rose is much more subdued than in previous film versions of the fairy tale, particularly Disney’s version. For instance, we never actually see the creation of Cinderella’s exquisite ball gown–it is simply and suddenly there. When we do get an actual glimpse of magic, it is generally restrained. An example of this is the creation of the legendary glass slippers, which the Fairy Godmother pours from an ordinary mop bucket. What is more, magic in The Slipper and the Rose operates under its own strict rules. Indeed, the Fairy Godmother can perform no magic for herself. The Slipper and the Rose benefits from some very fine performances. This should not be surprising given its credits reads like a Who’s Who of British Cinema. Aside from the legendary Margaret Lockwood, the film also featured Michael Hordern (who had appeared in Miss Lockwood’s films A Girl Must Live, Girl in the News, and Highly Dangerous) as the King, Lord Peter Graves (who appeared with Miss Lockwood in I’ll Be Your Sweetheart and Give Us The Moon) as the General, Kenneth More as the Chamberlain, and the legendary Dame Edith Evans as the Dowager Queen. It should come as no surprise to her fans that Margaret Lockwood delivers one of the best performances in the film. While the part of the Stepmother is not a particularly big one , it one that is pivotal to the film and Miss Lockwood makes the most of it. Miss Lockwood’s Stepmother is beautiful, stylish, and deliciously self-centred. The role is a very flamboyant one, yet Margaret Lockwood never plays it over the top. Indeed, she says more with the subtle arch of an eyebrow than many lesser actors could with a soliloquy. Although it was definitely not one of her larger roles, Margaret Lockwood’s performance as the Stepmother in The Slipper and the Rose is one of the best of her career. As far as the rest of the cast, Michael Hordern delivered a fine performance as the King. As a monarch who is concerned that his line continue, not to mention worried that his tiny kingdom of Euphania might be taken over by its larger and more powerful neighbours, Mr. Hordern strikes the proper balance necessary between humour and seriousness for the role. It is little wonder that he was nominated for the BAFTA Award for Best Supporting Actor. Kenneth More, a veteran of such films as Genevieve, A Night to Remember, and Sink the Bismark, was also very effective as the Chamberlain. Mr. More’s Chamberlain is as pompous and traditionalist as one would expect a king’s lord high chamberlain to be, yet Mr. More endows the character with a heart. In the end the Chamberlain is a much more sympathetic character than he might have been in the hands of another actor. What could be the film’s best performance is that of character actress Annette Crosbie as the Fairy Godmother. There can be little doubt that it was one of the more difficult roles in The Slipper and the Rose, one in which it would have been easy for an actor to ham it up or slip into outright camp. Fortunately Miss Crosbie did an admirable job of playing the Fairy Godmother, giving the character just enough humour to be fun, but never so much as to be over the top. The film’s two leads also did an admirable job of playing their respectable characters. 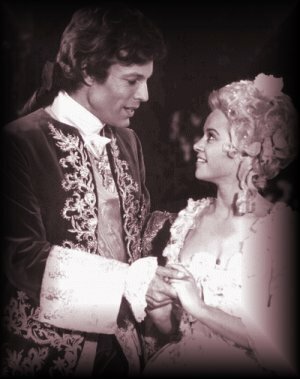 Admittedly, Richard Chamberlain had the meatier of the two roles as Prince Edward. Prince Edward is a rational young man with his own mind who essentially wants to be himself, regardless of tradition. Strangely enough given the film’s subtitle The Story of Cinderella, newcomer Gemma Craven may have had the most thankless role in The Slipper and the Rose. Miss Craven’s Cinderella is sweet, innocent, and naïve, as one might expect and she also shows occasional flashes of spirit (as when she tells her stepmother, “I hate you!”). Unfortunately, she also seems quite passive at times. Indeed, rather than Cinderella speaking up, it is the Fairy Godmother who suggests that Cinderella wants to go to the ball, not Cinderella herself. Of course, this is not Miss Craven’s fault, but rather that of the script and a fairy tale in which the heroine was not particularly proactive to begin with. Of course, The Slipper and the Rose is a musical, and musicals often succeed or fail based on the strength of their songs. Fortunately, The Slipper and the Rose does not fail on that account. The songs were written by the Sherman Brothers (Robert B. and Richard M. Sherman), who were also responsible for the scores of Mary Poppins, Chitty Chitty Bang Bang, Bedknobs and Broomsticks, and Tom Sawyer. While the Sherman Brothers’ songs on The Slipper and the Rose are not as strong as those from Mary Poppins or The Jungle Book, they are much stronger than their work in some other films (Chitty Chitty Bang Bang being a prime example) and altogether quite enjoyable. “The Slipper and the Rose Waltz (He Danced With Me/She Danced With Me)” stands out as one of the Sherman Brothers’ most memorable compositions (it was nominated for the Oscar for Best Music, Song). The songs “Protocoligorically Correct” and “Position and Positioning” are both quite fun, while “Once I Was Loved” and “Tell Him Anything (But Not That I Love Him)” are lovely ballads. Of course, much of the credit for The Slipper and the Rose’s high level of quality must go to director Bryan Forbes. Mr. Forbes had helmed such classic films as The L-Shaped Room, Séance on a Wet Afternoon, and The Wrong Box. He not only directed The Slipper and the Rose, but co-wrote the screenplay with the Sherman Brothers. As an actor himself Mr. Forbes had an uncanny knack for bringing out the best in his performers. As a director he had a gift for realism of the sort seen in the British New Wave and he was able to bring that gift to his more fantasy oriented films. One can see it in his camp classic The Stepford Wives and one can see it to a degree in The Slipper and the Rose as well. Despite the fact that there is a good deal of comedy and even magic (although much more subdued than in many fantasy films) in The Slipper and the Rose, it also seems much more grounded and realistic than many adaptations of “Cinderella” and other fantasy films as well. The Slipper and the Rose proved to be moderately successful in the United Kingdom. It was even chosen for a Royal Command Performance in 1976. Unfortunately The Slipper and the Rose did not do well in the United States. Reviews of the film were lukewarm for the most part. Even worse, The Slipper and the Rose bombed at the box office in the United States. Despite the big names associated with the film, The Slipper and the Rose then remains largely forgotten in the U.S. for that reason. As to why The Slipper and the Rose failed in the United States, it is perhaps that it was a bit of an anachronism when it was released. Despite the success of such big musicals as Mary Poppins (1964), My Fair Lady (1964), and The Sound of Music (1965), movie musicals went into a swift decline in the Sixties, with bombs far outnumbering hits by the end of the decade. By the Seventies it was a rare thing for musical films to do well at the box office. It seems quite likely that had The Slipper and the Rose been released twelve years earlier it could have been a smash hit in America. Despite its failure at the box office in the United States upon its initial release, The Slipper and the Rose has developed a cult following over the years on both sides of the Atlantic. There are probably numerous reasons for this. Much of it may be due to the fact that it was one of the very last big budget, original musicals (that is, one not based on a stage play) ever made. Much of it also probably has to do with its rather original take on the fairy tale “Cinderella”, as well as the fact that it features one of the Sherman Brothers’ best scores. Of course, there can be little doubt that much of The Slipper and the Rose’s cult status is largely due to the presence of Margaret Lockwood. Even for viewers unfamiliar with her earlier works there can be little doubt that Miss Lockwood is one of the film’s star attractions. Her Stepmother (of the fact that she is wicked there can be no doubt) could well be the best in any adaptation of “Cinderella”. That Margaret Lockwood’s stepmother would be beautiful would be expected (she was never anything less), and costume designer Julie Harris insured she was stylishly dressed. That having been said, it was Miss Lockwood herself who endowed the character with archness, vanity, vindictiveness, and malevolence rarely seen in other portrayals of the character. It was a great performance in a film filled with great performances. While The Slipper and the Rose may not have been a box office hit in the United States, it was certainly a fine swan song for one of Britain’s greatest film actresses. About the Author: Terence Towles Canote runs the pop culture blog A Shroud of Thoughts (http://mercurie.blogspot.com/). He is the author of Television: Rare & Well Done: Essays on the Medium. His book Imaginative Television will be published later in the year. 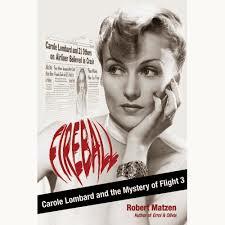 I received a review copy of Fireball: Carole Lombard and the Mystery of Flight 3 from Goodknight Books and I have to say, I knew nothing about Lombard at all except a few things: she was very beautiful, extremely talented and she died young. So you might wonder why this book, which is not a traditional biography in any sense of the word, would serve as my springboard to learning about Lombard’s life. First of all, I am a big fan of old Hollywoood, so of course Lombard’s name appears here and there, and we all know she was married to William Powell, and then to Clark Gable. Matzen gives her story a unique approach; he uses the infamous plane crash to move the story along, interweaving facts from the accident, the build-up before she boarded the plane (everyone told her to use the train) and the characters she met before and during her journey. Don’t fret, this isn’t a story about aviation and its disasters (says she, who is afraid of flying) – the reader is treated to flashbacks from Lombard’s life, as she travels to her untimely death. I thought the entire book was paced like a documentary, and indeed it would make a fascinating one. Matzen also gives Lombard’s story a masculine edge, often his writing reads like a ’40s detective novel, which is entirely appropriate given her penchant for swearing and using rough language. A contrast to her Patrician beauty. All in all I adored this book, I read it in one day. Click here to purchase the book. And here to read more about the publisher. (Note from author: I love these questions, by the way. RM) << Thank you, Robert! Q. What inspired you to write the biography in this non traditional way? What gave you the idea to mirror her life with the tragedy of the plane crash? The story of the plane crash moves at a mile a minute; the story of her life unfolds like a life, day by day. I wanted the reader to be plunged into the final moments right away and set the essential story in motion. Because the plane crash was a 70-year-old mystery, I’d build real and false clues into the narrative so the reader would make mental notes. Is this going to be important later? And then I set about answering the question, “Who was Carole Lombard and why should we care about this character?” By chapter 2 when we start to learn about her, there was already forward push to the narrative. I have always liked the “you are there” approach to storytelling, and have applied it to biography in the past. 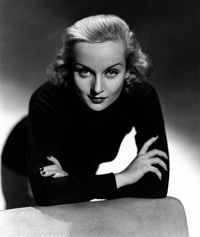 Otherwise, you are covering largely familiar ground with a reader who knows about Carole Lombard. This happened, then that happened. Boring! But if you break the chronology up with a story that’s right in front of your face and being lived in the cold and the dark by heartbeats, I believed it would be effective. A few reviewers have hated this approach, but most of the readers I’ve talked to have mentioned it right away as one of Fireball’s assets. I had written an academic volume about Lombard 20 years ago and had a lot of accumulated research upon which to draw. Plus I am a goal-oriented, one-track thinker and once I start something, it becomes my passion. That said, the actual writing of Fireball from front to back took about a year, applying old research and conducting new research with the help of two very talented investigators. Q. What methods of research do you use? There are two answers to this question, and they overlap. When researching a person, I try to avoid relying on second-hand sources recounting familiar stories. I believe that an accurate portrait can only be created with primary sources—people who were capturing quotes through interviews with Carole Lombard and Clark Gable, or people who knew them. Not only had I interacted with people who knew them while writing the academic volume back in the day, but I also found a wealth of untapped material in the Academy of Motion Picture Arts and Sciences Library, and was able to find a few people still around who knew these people. About the crash, I stuck to primary sources as much as possible, which to me means accounts of an event that were immediate and told by eyewitnesses. There is a core of such material about the crash in newspapers as related by reporters who actually climbed the mountain and watched the investigators at work. There is a tremendous wealth of information about the crash in Washington, D.C. that no one had ever reviewed, and my DC researcher found all that in no time. I never would have found it; she snapped her fingers and there it was. We’re talking 2,000 pages. She also pointed me to the TWA archives full of confidential information about the crash of Flight 3. Lastly, I wanted to portray the others on the plane as living, breathing human beings with bright futures ahead of them, and this involved tracking down and speaking with relatives, and relying on obits and other documented information about their lives. A geneology researcher helped me with that part. Q. Where do you think Carole’s career would have gone had she not died? She was always taking the pulse of her own career. Always, always, the way a hypochondriac takes his or her own pulse. She had seen that dramatic pictures didn’t work for her and had completed one comedy and was about to make two more when she died. One of those, My Girl Godfrey, could have vaulted her back to the top as a screwball comedienne. Because of her business sense I firmly believe that Carole would have embraced television like Loretta Young did. In fact, the entire history of early television might have been changed if Carole had been on the scene and agreed to have a show crafted around her like I Love Lucy was for Lucille Ball. Lombard could have become the focus of early television instead of Lucy. But of course that’s idle speculation. Q. Do you think she would have remained married to Gable? Tough, tough question. I guess, no, I don’t think so. Under existing conditions, I believe it would have lasted a long time and that Carole would have hit the magical age of 40 or 42 and thought, What am I trying to do here? What am I building with this self-centered, emotional island of a man? The ultimate irony in Fireball is that Carole needed two things from Clark: communication and commitment. I think she could have accepted the occasional fling from him with anonymous actresses—it was a tradeoff for being the mate of the most famous movie star in the world. But he didn’t know how to contribute to a marriage. He didn’t appreciate what he had in Lombard until she was dead. Then, boy did he learn a lesson. If only he could have shown her what he learned, but he couldn’t. He had to live without her, and live with the knowledge that this was the woman for him. Q. What lessons do you think the aviation industry learned following the crash? Despite the great advances in aviation from 1930 until the time of the crash of Flight 3, this was still the era of seat-of-your-pants flying, and many of the airline captains were former Army or barnstorming pilots. Commercial aviation was still being invented, there just weren’t that many rules, and any crash taught investigators a lot, resulting in guidelines that became new rules. For example, there was a radio beam for planes to follow, but around Las Vegas the weather was always clear and the flight crews flew by “contact” with the ground—what they could see. They didn’t bother to use the radio beam. In the wake of the investigation, flight crews were ordered to use the radio beam at all times. Also, weight of the aircraft was an issue and there would be no more fudging of the numbers to make sure an overloaded ship was cleared for takeoff. Q. Was the airline sued? TWA was sued by the family of Alice Getz, the stewardess of Flight 3. But MGM, Clark’s studio, represented Carole and her traveling companions, Elizabeth Peters, who was Carole’s mother, and Otto Winkler, who was Gable’s press representative at MGM. We will never know what the under-the-table amount was in this matter. There is no written record of it. Most of the people on the plane were soldiers, and at the time, TWA and the War Department were working very closely together and so there weren’t going to be any lawsuits involving those cases. Q. What type of projects can we expect in the future? I have always been drawn to old Hollywood, and used to think only in terms of biographies. But Fireball was an eye opener, and I learned the power of looking at a significant event from all angles. I think I’d like to try that again. Q. Can you tell the Margaret Lockwood Society a bit about yourself? I was raised in the Pittsburgh area and still live there. My wife Mary and I are nearing our 20th anniversary. I used to be a big reader, back when there was time, and my heroes were Alexandre Dumas and Robert B. Parker. Both writers used elements of mystery in their stories, Parker much moreso, of course, and I always liked that. I’ve been a professional writer for more than 25 years and a filmmaker for more than 20. My day job has always involved writing and editing, and I spent 10 years supporting communications efforts for NASA’s aeronautics program. That background came in handy when sifting through all the aviation-related information in the crash investigations. Fireball is my sixth book. Two previous books have been about Errol Flynn—one about his infamous house and the other about his professional and personal association with Olivia de Havilland. I’ve been an on-air or on-mic expert about Flynn, de Havilland, Lombard, and Gable, for various documentaries over the years. As a filmmaker, I’ve done lots of things as writer, producer, and director, but I guess my claim to fame is a documentary called When the Forest Ran Red about George Washington and the French & Indian War, which appeared on PBS and is still considered the classic interpretation of that conflict. It’s no coincidence that When the Forest Ran Red uses the same style of storytelling as Fireball: plunging the viewer into the middle of an unfolding story as a participant who doesn’t know what’s going to happen next. Or, really, the viewer does know, but it doesn’t matter because they’re hooked and must find out what happens next, and why. I’m excited to share with you the info about Margaret Lockwood’s jewellery auction at Lawrences auction house, 16th January at 10am. Click on each photograph to find info on its estimate price etc. If you cannot make it to the auction in person you can also complete an online bidding form by clicking here. Alternatively you can telephone the auction house at 01460 270799. Remember to have your lot numbers handy! It is a sad day for fans of British cinema and for all of us over at the Margaret Lockwood Society. 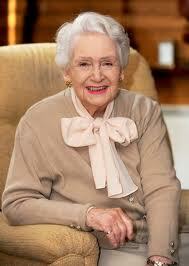 Our friend and the last of the Gainsborough Girls, Jean Kent, died yesterday morning. Vibrant until the very end, Jean brought joy to so many people’s lives through her films. She could be called upon to deliver a first rate performance, be it in a tiny role as Jackson’s doxy in The Wicked Lady or the troubled tearaway in Good Time Girl, the harrowing portrayal as Agnes in The Woman in Question or the unfaithful wife in The Browning Version. Gainsborough could rival any Hollywood studio; it was a stable of household names who lit up the cinema screen and with beautiful Margaret Lockwood as its chief star it could have been easy for an actress to get lost amongst its superstars. But not Jean, she stood out from the beginning. This is best viewed in 1944’s Two Thousand Women, a sort of war effort film which cast the best of British female talent (albeit Margaret Lockwood), it had Phyllis Calvert, Anne Crawford, Renee Houston, Flora Robson, Patricia Roc, Dulcie Grey, Thora Hird, and yet Jean shone. It was the type of witty, streetwise personality which she would use in the Madonna of the Seven Moons, Fanny by Gaslight and the iconic Caravan co-starring Stewart Granger. 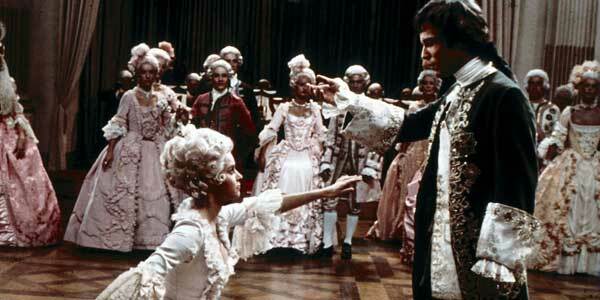 The aforementioned films were classic Gainsborough and the public lapped them up. A trained dancer and an accomplished singer, Jean’s musical talents were put on show in Bees in Paradise and Trottie True. As she reached her forties, when most actresses played to their vanity and opted out of screen roles, Jean was a good sport and played the part of Julia Lockwood’s mother in Please Turn Over, a comedy based on the West End play, Book of the Month. 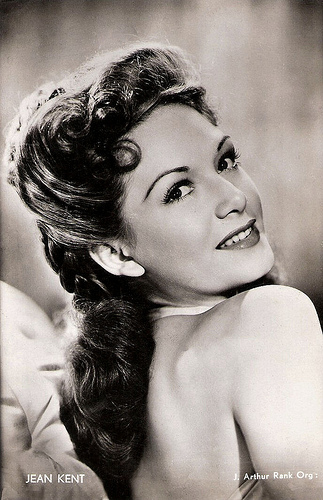 It is interesting to note Jean’s participation in Please Turn Over because during a brief stint in the mid 1950s she had very small roles in Hollywood films such as The Prince and the Showgirl opposite Marilyn Monroe and Laurence Olivier and in the Deborah Kerr, David Niven and Jean Seberg film, Bonjour Tristesse. Being able to move from small role to leading role as fluently as Jean did singles her out from the major movie stars. What other important star would demote themselves (if you will) to play opposite other leading stars? This is what I love about Jean and she said it better herself in a round of interviews two years ago as she celebrated her 90th birthday, acting was simply a job to her and she loved to work. In the ’80s and ’90s Jean kept busy with television appearances on popular shows such as Crossroads and Lovejoy. Behind the camera, Jean lived a simple life. She was married to her husband Josef Ramart until his death in 1989. A star without a star’s temperament, Jean was active in her local community and always courteous towards her fans. Above all else Jean was simply a nice person.